Have you heard of kefir? And in particular, water kefir? 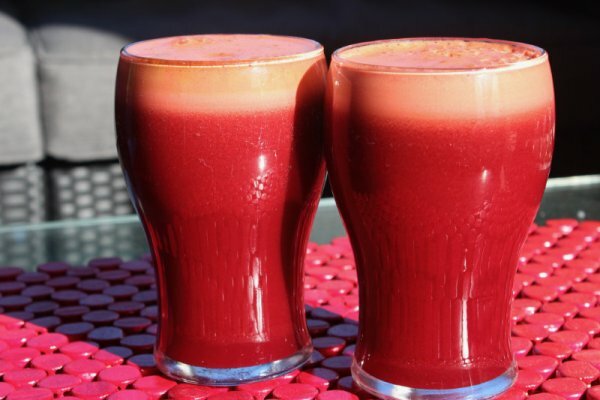 Wondering what it is, why you should drink it and where you can buy it? Here are all the answers you need for water kefir. Water kefir is a probiotic drink that has proven health benefits, specifically for your gut. You may have heard of vegan kefir, water kefir, coconut kefir, water kefir grains, kefir milk, kefir probiotic. They are basically all the same thing. They all use kefir (the probiotic) and they are mixed with other liquid – water, coconut, milk etc to make the probiotic kefir. Kefir is vegan unless it is made with milk, so I’m going to just talk about vegan kefir without the word vegan. You can make it with coconut water – hence the name coconut kefir, or water. The type of water you mix with kefir can affect the probiotic goodness of it, so I’d steer clear of tap water and use coconut water. Your gut needs bacteria. Simple as that. But like everything there is good bacteria and bad bacteria. And some things we do for the good of our health (eg medications) can kill off the good bacteria. Basically kefir is a probiotic drink and it helps restore all the good bacteria. Kefir is not the type of drink that you should be guzzling down. About one to one and a half glasses a day is the recommended dose. You don’t want to have too much of a good thing. How easy is it to make kefir? 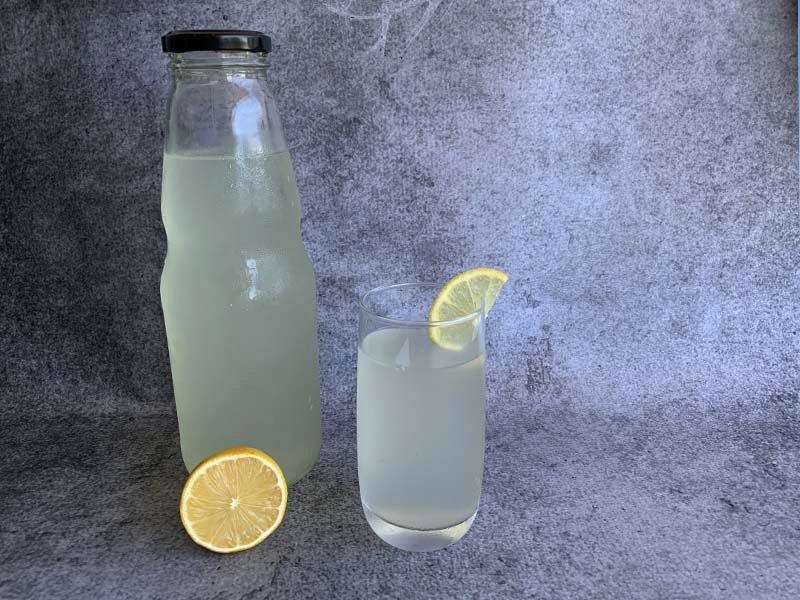 Coconut water kefir is simple to make. 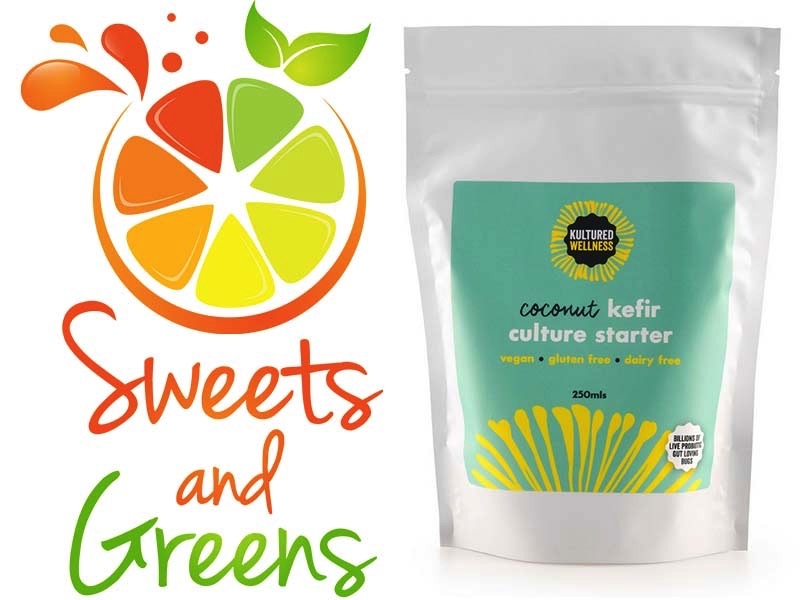 Buy a coconut kefir starter from Kultured Wellness and add the liquid from the sachet to 2 litres of quality coconut water and let it sit on the bench for 48 hours, away from direct sunlight. During this time the fermentation occurs. The probiotics feed on the sugar in the water and leave you with bubbly, lovely, probiotic-rich coconut kefir. After the 48 hours are up, simply place it in an airtight bottle in the fridge. It will easily keep for 3-6 months in your fridge. Enjoy a glass every day and your gut will thank you. Before you finish drinking the first batch, keep a cup aside. This can be used to make another delicious batch. Pour it into 2 more litres of coconut water, and repeat the above process. Presto -‐ you’ve just made yourself another 2 litres of coconut kefir. You can keep going until you’ve made a total of 10 litres, so that’s 5 times you’ll get to enjoy the kefir probiotic, before having to purchase more. Now it’s time to try coconut water kefir for yourself. 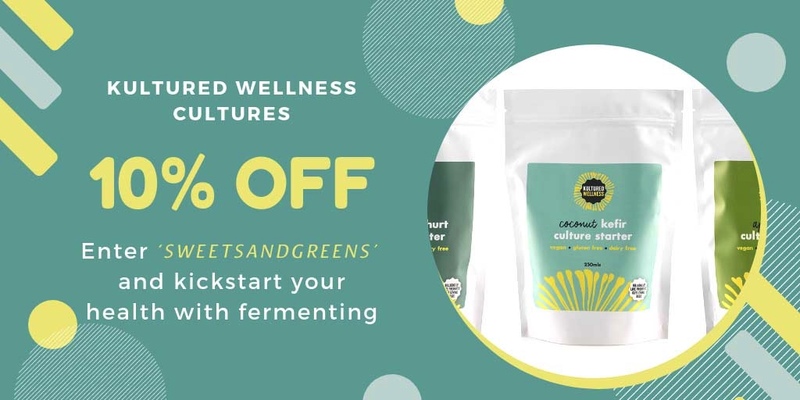 Just head to Kultured Wellness and use the code ‘sweetsandgreens‘ for 10% off the cultures. Kirsty will post it out to you and all you need to do is add the coconut water. I recommend H2Coco Coconut Water. You can order at their website and save $10 off your first order.